A few months ago, DC Comics teased that its big status quo shifts would mean serious trouble for the romance between the Man of Steel and the Amazing Amazon. But don’t worry, guys: Clark and Diana are doing fine. Just ask the Suicide Squad. Recent events have made Superman’s secret identity and mountain-moving strength things of the past. Wonder Woman’s only gotten more powerful, though, having ascended to godhood in her own title. A preview teaser showed Clark pulling a dumb stunt to try and get his powers back, followed by Diana successfully stopping him. 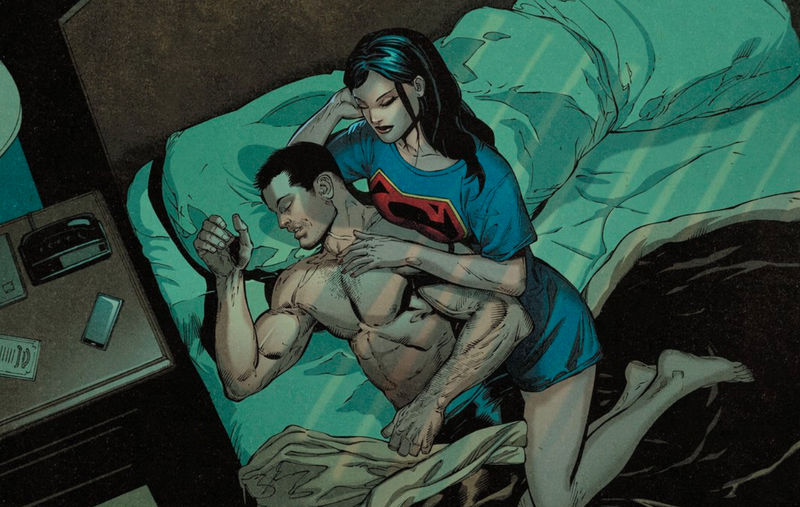 But, in the latest issues of the Superman/Wonder Woman comic—by Peter Tomasi, Doug Mahnke, and others—they don’t seem like they’re on the verge of a break-up. But the story so far does show how this shift in power levels has changed the characters’ relationship. And that’s not all that’s gone missing. Clark’s new vulnerability isn’t just emotional, either. A showdown with the Suicide Squad in this week’s issue #19 is one of the clearest examples yet of just how much weaker Superman’s become. and he’s telling her not to fret. These moments are a nice twist to the super-romance, which had felt a bit perfunctory before this. It felt like Superman and Wonder Woman were together because “of course, they should be.” Previously, I’d been bored by this series because there didn’t seem to be much drama in reading about two near-perfect, nigh-invulnerable heroes who could seemingly overcome anything together. But now, with Superman needing Wonder Woman to fly—something he used to do just fine on his own, remember—their joint series might be a lot more interesting to watch.